Happy November! Can't believe how quickly this fall is flying by. Wasn't it just the beginning of October? 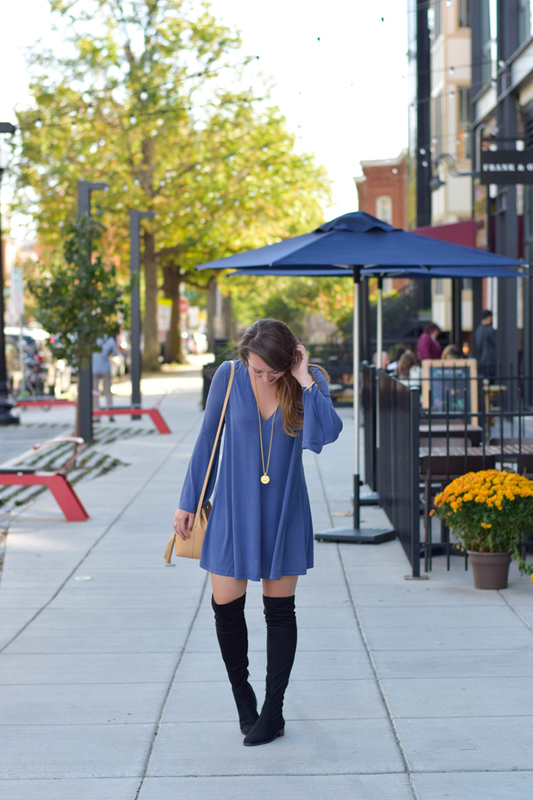 One of my favorite things to wear this season are over the knee boots. I got heeled ones last year and wore them alllll the time. So I know it was time to invest in some flat ones! I've already gotten a ton of wear out of these - I especially love wearing them with a pencil skirt and a sweater at work. They provide more warmth than I expected and I love how this pair especially makes my ankles still look skinny. I tried on a ton that just got baggy or fell down. 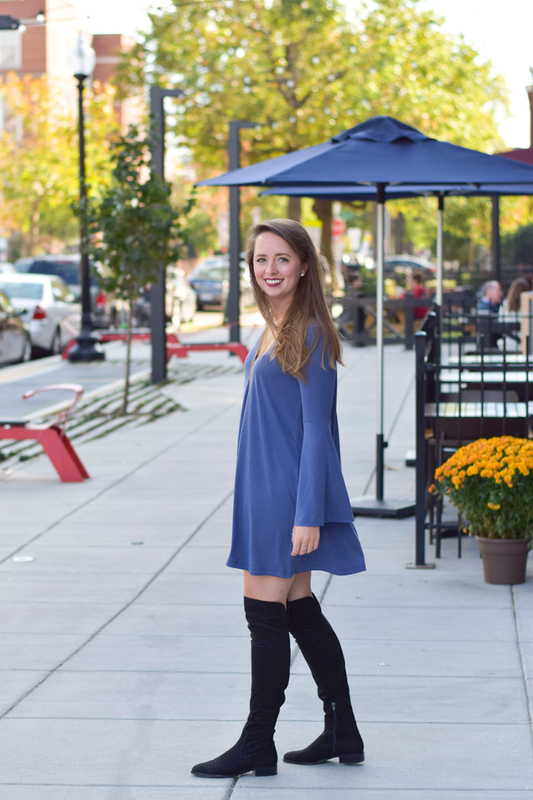 The second I saw this pretty bell-sleeved dress I knew that I had to make it mine! 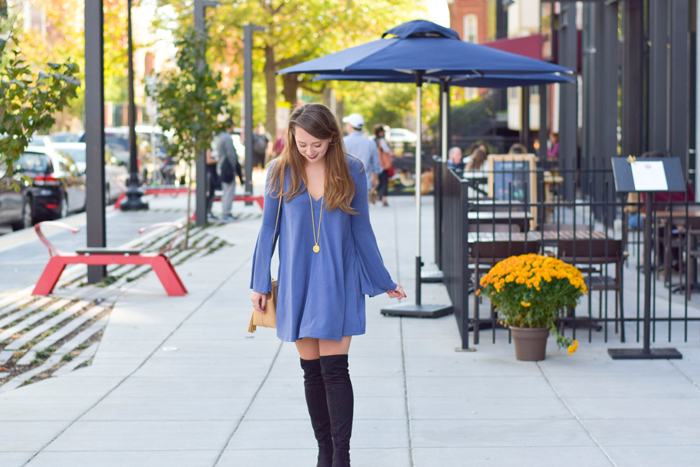 I love a good detail and these sleeves were too good to pass up. The material is super soft (almost like a jersey) and it moves so easily when you walk. I know I'm going to be wearing this dress again and again! Beautiful look! Those boots are gorgeous on you. Seriously love this, Jenn!! Those boots! 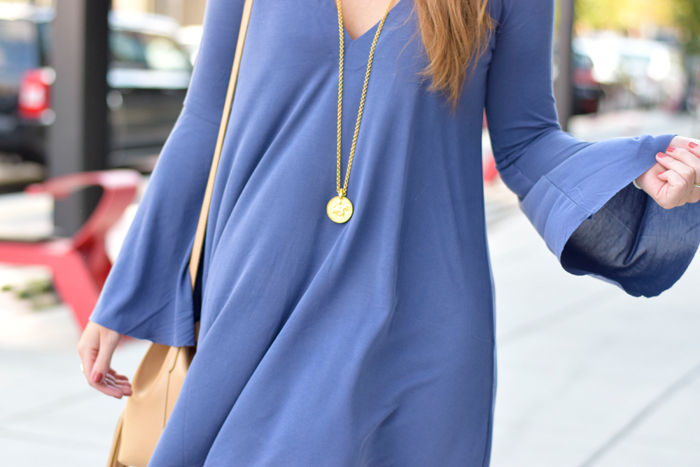 This is the prettiest blue! Gotta love easy outfits that only require a dress and OTK boots.